← To Feed, or not to Feed? 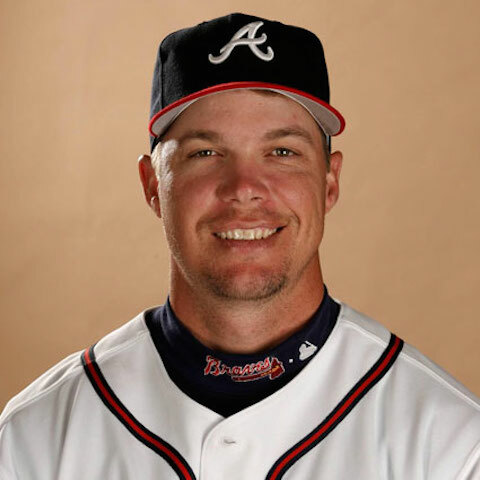 Chipper Jones was recently inducted into the baseball Hall of Fame. Jones piled up a lot of impressive statistics in his career, but this one really stands out. The switch-hitting slugger batted for a .303 average as a left-handed hitter and .304 from the right side. Such consistency is amazing! Chipper’s father saw the advantages of being able to hit from both sides of the plate, and he and Chipper were adamant about the fact that he was going to be a switch-hitter. Occasionally a coach would ask him to bat only from the right side, especially in a crucial game situation. But the Joneses were committed for the long haul, and their perseverance paid off. Sometimes we are tempted to take the easy way out. We have a plan for the long run, but sometimes it is easier in the short-term to give in and abandon our program. We cheat on our diet. We neglect our Bible study or prayer time. We forget our promise to watch less TV in order to spend better quality time with our family. Churches too, are prone to cave in and do things the easy way. It’s too hard to incorporate new music into the worship service. Getting serious about making disciples is more difficult than merely showing up and going through the motions week after week. Confronting divisive people makes us uncomfortable, so we allow them to chip away at the unity of the church. Pointing out immorality in the church might upset someone, so we become as tolerant of evil behavior as the world is. Heaven forbid that we take the easy way out! Jesus never promised us that living for him would be easy. But he promised to be with us if we remain faithful to him. “I have told you these things, so that in me you may have peace. In this world you will have trouble. But take heart! I have overcome the world.”–John 16:33. This entry was posted in Christian Living, Communion Meditations, Leadership, Sports and tagged baseball Hall of Fame, Chipper Jones, easy way out, illustration, John 16:33, perseverance. Bookmark the permalink.